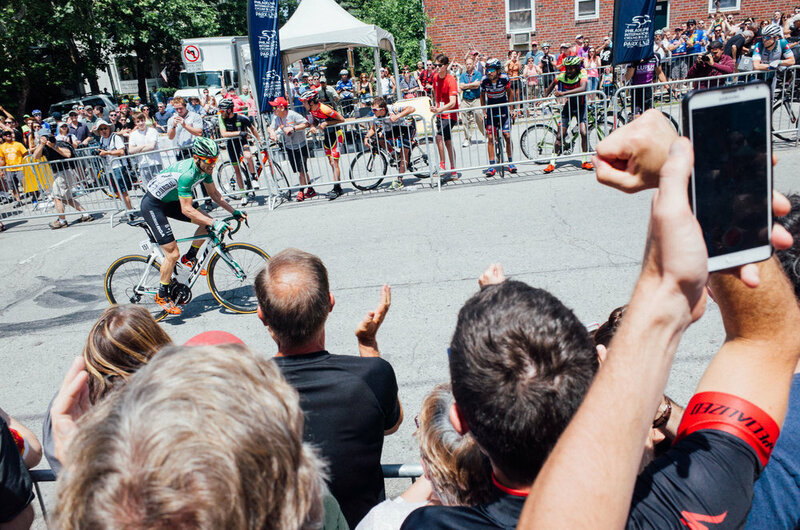 It all seemed so easy: a few hours of riding and then we get to watch one of the best bike races in the country. Of course during our initial daydreaming we didn't appreciate quite how early we would need to leave New York City in order to arrive in time for the finish of the Men's Race at the Philadelphia Cycling Classic. Once we did the math we discovered that we would be on the very first train out of Penn Station. The "I partied too hard last night" train. 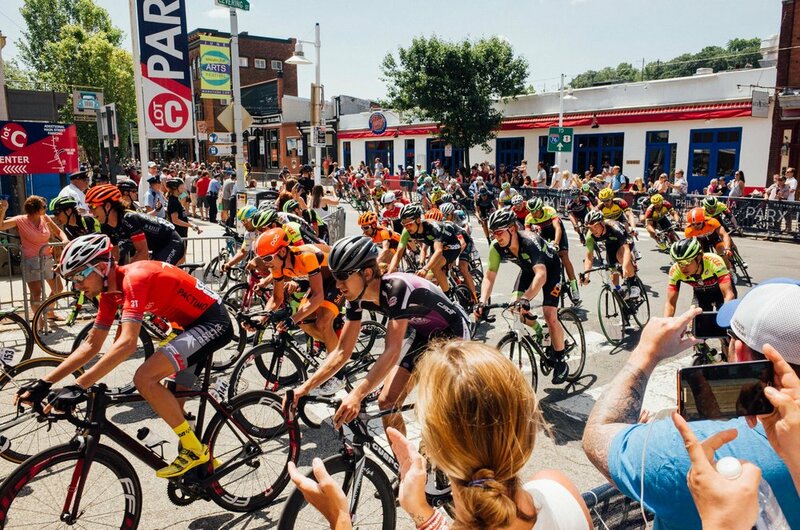 It was unfortunate, but just part and parcel with what became known as our #WILLBIKEFORCHEESESTEAK adventure riding from New York City to Philadelphia to watch a bike race (and eat cheesesteak). It was exceedingly painful to set an alarm before 4AM but on the brightside with that ungodly early start we found ourselves riding through the mostly abandoned and very calm city streets at 4:30AM. It was a ride immersed in darkness other than a blinding stretch through Times Square (perhaps the only hour that Times Square is bearable). There was a brief moment of panic as we couldn't locate Roger in the endless tunnels and passageways of Penn Station but he eventually surfaced. This left us just enough time to grab a quick coffee and doughnut before boarding the train, bleary eyed but far more sober than the vast majority of our fellow commuters. As our train emerged from under the Hudson to a slowly rising sun we also managed to address the only near crisis of the trip: Lisa had woken to a nearly dead Di2 battery. But after attempting to explain to the conductor why her bike had a battery in the first place, she was able to squeeze into the back row of the train where an electrical outlet provided her with enough juice to get to Philly with her drivetrain still functioning. Our route had us covering approximately 85 miles and ending at the Wall, in theory in time to catch the Elite Men's finish. With the sun rising behind us the opening miles on the canal trail were spectacular: far too early for anyone other than a fisherman or two to be out, with a morning fog slowly rising off the water to our left as we debated appropriate instagram hashtags for the journey at hand - ultimately settling with a straightforward #willbikeforcheesesteak during our only flat of the trip. We went into the ride with no idea what sort of roads would be greeting us, but the route (thanks Jed!) was remarkably good, featuring backroads for the majority of the mileage and canal trails wherever possible. With steady rotating paceline we made good time as we traversed New Jersey and crossed the Delaware River, ultimately hitting a rail trail that dropped us off in Philly just a few kilometers from where the course turned right and started the steep ascent of the Wall. Somehow we managed to hit the course as the men came through to receive the bell for one lap to go. As the field was catching up the base of the wall we even caught a brief glimpse of former NYC racer Kyle Murphy in the main group. With tired legs from the early morning and long ride we dragged ourselves up the Wall shortly thereafter where we found a nearby deli to raid for sandwiches and ice cream. After that we fought through the massive crowd for a front row seat to the race finish. Taking advantage of a 30 minute delay to the Women's start, we jumped on the course for the journey to the KOM/QOM at Lemon Hill. Apparently despite carrying a change of clothes on our backs we looked the part of elite racers because we received applause the innumerable parties taking place on front lawns throughout the course. A few miles later we hit the giant lawn party that was Lemon Hill. We quickly found a crew of fellow New Yorkers - including everyone's favorite race photographer - as well as vast quantities of free beer to rehydrate after our ride and spent the next few hours screaming our heads off during the elite women's race (we may have also caught a nap as well when the field wasn't coming through). All in all and despite the painfully early start it was pretty much a perfect day on and off the bike. It quite simply doesn't get much better than starting with sunrise on the canal trails and ending up with plenty of ice cold free beer with a world tour race as the backdrop. 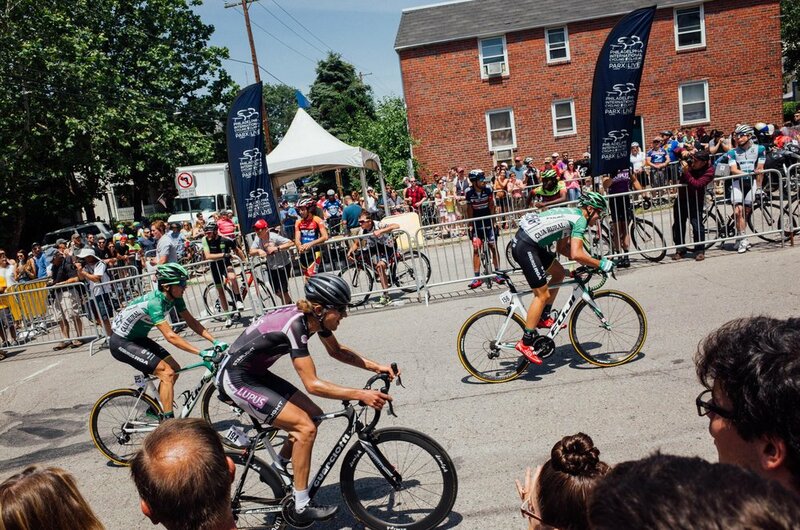 Team rider Steve Rousseau had one of the most eventful races of his life at Lancaster’s Race Avenue Crit. He also witnessed some of the worst treatment of a women’s field in his life. A look back a weekend of grass crit CX at Nittany Lion Cyclocross in Trexlertown, PA. Featuring race reports from TBD's Steve Rousseau, Patrick Torpey and Clay Jones with images from Daghan Perker. The first double header weekend of cyclocross is in the books at Nittany Cyclocross. Part I of the TBD recap covers images from two fast and hot days of racing. This is it. Cyclocross season is officially here with the kick-off of the MAC Series at Whirlybird CX in Bryn Athyn, PA. The TBD squad checks in with multiple race reports and images from Eloy Anzola. The Tour de Millersburg has long been one of our favorite weekends of racing and the 2017 edition reminded us how cycling deserves (and needs) races like Millersburg. Two Races. Two Cities. One Day.